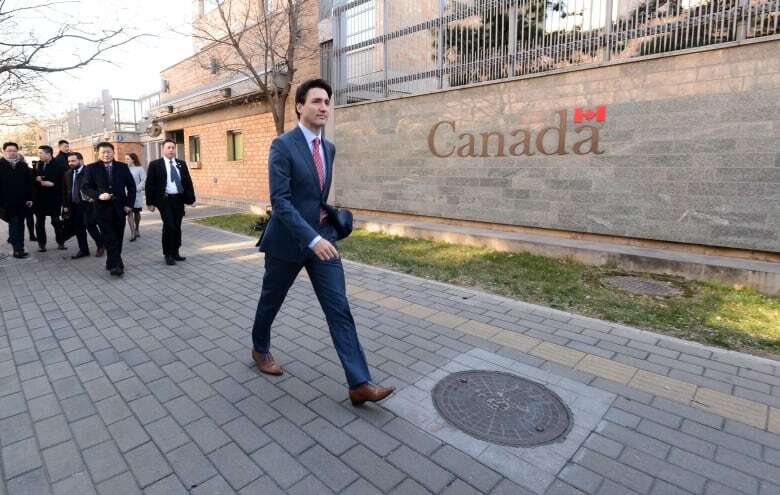 Canada and China have held four rounds of exploratory talks stretching back to last year, but it's unclear China would be willing to agree to Trudeau's stated priorities that any trade deals must protect labour and gender rights. Prime Minister Trudeau met Monday with Chinese Premier Li Keqiang at the Great Hall of the People in Beijing. A joint statement indicating talks would begin had been widely expected. But the first clues that it might not happen emerged late in the day. First, the private meeting between Li and Trudeau went on much longer than expected. And a scheduled bilateral news conference was abruptly cancelled by the Chinese according to the prime minister's office. "I'm pleased we will continue our exploratory discussions towards a comprehensive free trade agreement between Canada and China. We believe that, if done properly, a trade agreement will benefit both countries," Trudeau said. The allure of a free trade deal with the world's second-largest economy had proved irresistible. 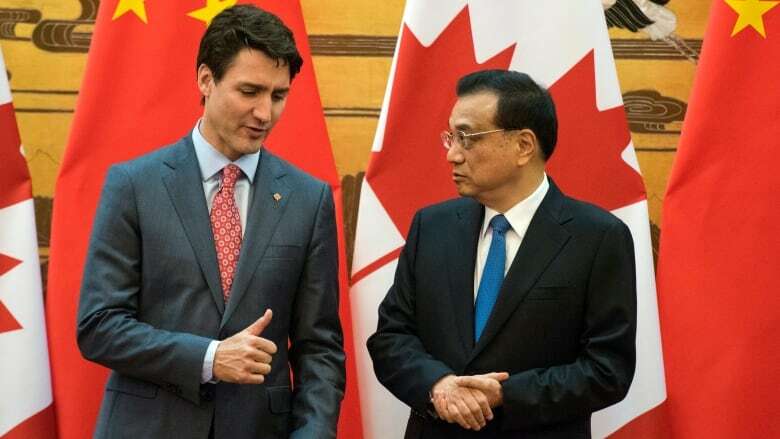 Many Canadian business leaders openly endorsed it even though it's far from clear that China would be willing to agree to Trudeau's stated priorities that any trade deals must protect labour and gender rights. Li indicated China is prepared to engage with Canada on human rights by creating two ministerial working groups on that and other issues. "Both sides share the view that due to different national circumstances, it's only natural that we don't see eye-to-eye on some issues," he read from the statement. "As long as we act in the principle of mutual respect, equality and mutual benefit, then we can see mutual understanding and further promote this bilateral relationship." Li and Trudeau did announce agreements to promote Canadian canola imports and other agriculture products such as beef and pork. They also agreed to promote greater tourism and to work together on climate change. But the big target eluded them and their body language showed it. Both read from prepared statements. Neither looked at each other as they did. In a brief photo op a few minutes before the statements, Li said he and Trudeau shared a "candid and in-depth exchange of views" and that the two had "reached important understandings." In his statement, Li added both countries believe in trade liberalization and removing barriers to investment. "China is open to bilateral talks for a free trade agreement," he said through translation. In a press conference with Canadian reporters, Trudeau said Canada is committed to progressive trade deals, which include chapters on the environment, gender and labour standards. "Moving forward on a trade agreement with China is a big thing, not a small thing. Canadians understand how important it is to get it right," Trudeau said. 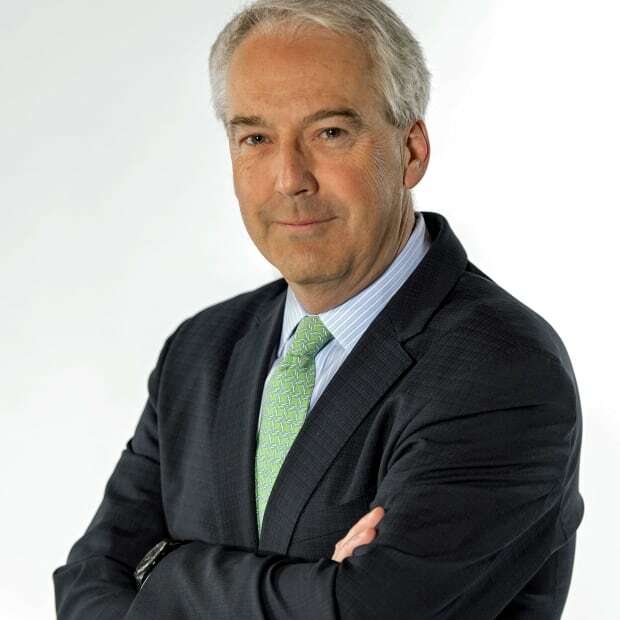 "This will be for Canada, obviously, a significant trade agreement that we will eventually move towards because of the scale of the Chinese economy. For China it's a big thing because of the precedent of moving forward on their first agreement with a G7 country. So we both are very much in an agreement that we need to get this right and move forward at the proper pace." The two countries have held four rounds of exploratory talks stretching back to last year. The Trudeau government has also consulted industry leaders on the pros and cons of proceeding. China dominates the $90-billion trade relationship now; its exports to Canada were worth more than $64-billion in 2016 and the gap has grown every year since 2012. Beijing also uses hundreds of massive state-owned companies to help further its foreign and economic interests. And unlike Canada's other free trade partners, China is a one-party state with a spotty human rights record. Even so, an agreement to begin formal talks appeared likely. NAFTA renegotiations are at an apparent standstill. And Canada is looking to diversify into new markets. Now Trudeau has left trade negotiations hanging with two Asian partners. Two weeks ago he refused to sign an agreement in principle for the Trans Pacific Partnership involving 10 other Pacific rim nations.